Being a great enthusiast for hillwalking in Scotland, I’d always wanted to set a novel where much of the action takes place in the country’s mountains and glens. 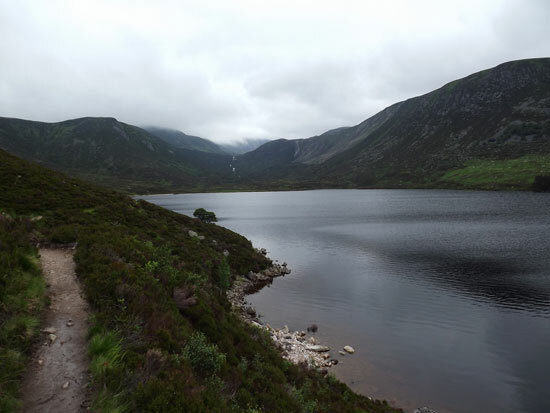 So my adventure story Balmoral Kill is a love letter to the great open spaces of the Borders and the Highlands. 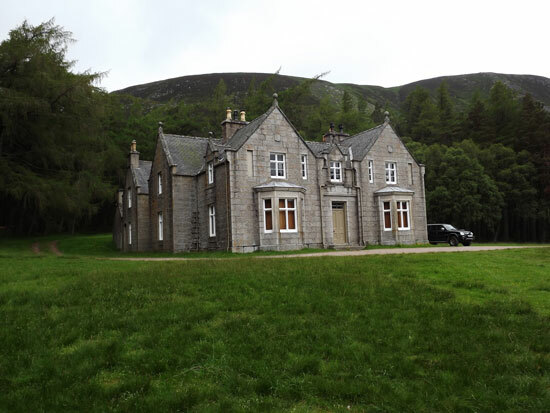 True enough my book begins in the alleys of London’s East End, but soon moves location – first to the countryside around Peebles, and then to the wild landscape around Balmoral, with a climax at Loch Muick. 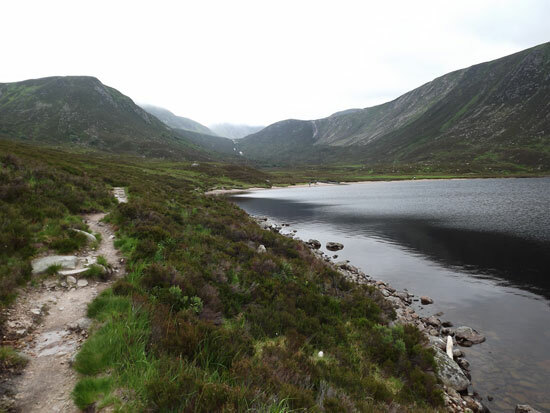 These are both areas I’ve walked, and I spent a lot of time at Loch Muick (pronounced Mick) working out just how a gunfight between two protagonists might play out. The setting is just before World War Two, with the Nazi threat hanging over Europe. I like reading thrillers myself, but prefer them when the hero can’t use modern technology like mobile phones to get himself out of trouble. Where only individual daring and skill can come to his aid. 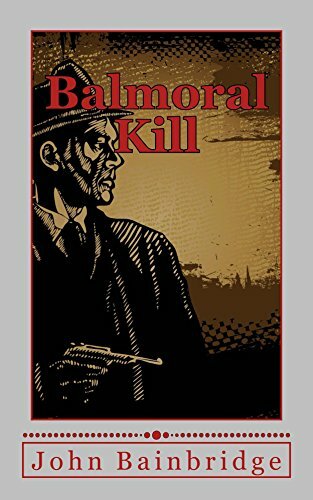 Of the thrillers and historical fiction I’ve written so far Balmoral Kill is my personal favourite. Not least because it reminds me of all those happy days walking in Scotland. I hope to write the sequel some time next year. I already have an idea for a plot and a setting. I left the hero of Balmoral Kill, Sean Miller, returning to fight in the Spanish Civil War. Whether he actually gets back there or is diverted into a new adventure remains to be seen. Europe was a dangerous place in the last years of the 1930s. The shadow of war not far away. A lot of work for an adventurer like Sean Miller…. If you haven’t read it, Balmoral Kill is available in paperback and on Kindle as an eBook. Just click on the link below to read more…. If you are a regular reader of this blog, you’ll know I’m currently completing a Victorian thriller, the sequel to my novel The Shadow of William Quest. Writing a sequel is usually hard, particularly when the first book in a series has been generally well-received. I might not have a huge readership, but I do value the kind comments and support I’ve received re the Quest adventures. I want everyone to enjoy the new book. The second William Quest adventure has taken a while to complete, not least because I had break off a quarter of the way through to pen Wolfshead, the second in my series The Chronicles of Robin Hood. I also had, originally, a false start, when I put in a character with his own sub-plot, and then found that sub-plot and the main thrust of the story didn’t arc together. So I had to spend some time removing that character and all his interactions. It took a time. Nothing’s wasted though, for those thousands of words are not lost. They’re already growing in my mind into a story of their own, which will, eventually, also have Mr Quest in it. Those of you who’ve read The Shadow of William Quest, will know we get quite a lot of back story about Quest’s origins. In fact, I used up all his back-story in that one volume. In a way that’s been good, for in the new book Quest comes to us fully-formed, and it gives me an opportunity to explore some of the other characters in more depth. It also gives me a chance to set my characters against a London – and the setting of this one is entirely London – that was rapidly changing. The 1850s were an important decade, both in terms of the physical city – buildings were going and coming, and new streets built – and the morality of its inhabitants. Up until that point, some of the mores of Georgian London still prevailed. By the 1850s, the stamp of Victorianism was beginning to make its mark, for good or bad. If you read Dickens, note how the city has changed between the early and later novels. By the way, if you want to get a feel of London in the 1820s, you can do no better than read George Borrow’s autobiographical novel Lavengro. Now I’d like to be able to tell you the title of the new Quest novel, but I still haven’t decided. Quest’s name will be there, but I’m still torn as to the rest of it. I shall make a final decision very soon, not least because it’s due out in September and is going to be available for pre-order at a cheaper price for a couple of weeks before that. If you haven’t yet read The Shadow of William Quest, it’s out in paperback and as an Ebook on Kindle. Just click on the link below for more information or to read the readers’ reviews. If you’ve read it and enjoyed it – or any of the other books – please do leave a review if you bought it from an online seller such as Amazon. Reviews really do help get us more sales. Thank you, John. All of my thrillers are set back in time, even though the prevailing market for thrillers seems to be the here and now. Study the bookshelves and the online pages and you’ll see a great many thrillers set in the Middle East or Afghanistan etc, where the hero is battling in the kind of situations we see on the news every night. Thrillers, like mine, set back in time, are rarer birds. At the moment, where thrillers are concerned, the contemporary is king. And so it’s always been, I suppose. Look at the great thriller writers of the past, from John Buchan to Graham Green, Robert Ludlam to Ian Fleming, Hammond Innes to Alastair Maclean. They were writing books set against contemporary crises, be it the First or Second World Wars, or the Cold War. The contemporary thriller writers of today are doing exactly the same. And these are undoubtedly popular subjects. So why aren’t I writing a contemporary thriller, then? To me, it’s just too difficult. I’ve never been to the Middle East, let alone Afghanistan. And I very much like to set my books in locations I know, even if I use those locations in a past setting. I get most of my plots from places. The other nag I have is that I hate the intrusion of modern technology. Computers, cellphones, GPS satellite navigation… I use all of these at various times myself, but to me the technology would get in the way of the thrills. They make it all a bit too easy to call for help and solve problems. I like my heroes to get into situations where the help isn’t readily available at the end of a phone. 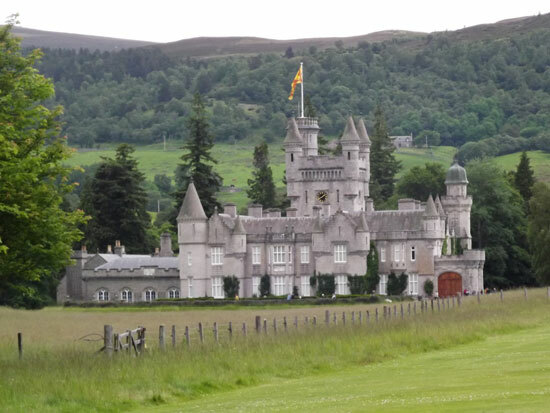 In my novel Balmoral Kill, set in 1937, the climax is a shoot-out in the Scottish Highlands. If it happened in 2016, one call would bring the SAS jumping in within minutes. That removes that sense of peril that defines what a thriller should also be all about. My hero has to fight it out the old-fashioned way. Man to man in hand to hand combat. The other problem with contemporary thrillers is that the hero really does need to be a professional. A soldier perhaps, or a secret agent. How else is he going to get into dangerous areas to confront the enemies of today? Amateurs need not apply. I prefer the days of the happy amateur. It’s true that Sean Miller, the hero of Balmoral Kill, has been a soldier and is still a mercenary. But he’s fighting enemies very close to home. He’s fought in the Great War, alongside soldiers who were civilians in uniforms, not men who’d ever planned to become warriors. When we meet him in 1937, he’s been fighting in Spain against the fascist forces of General Franco. He comes home to combat a very individual enemy who happens to have a very similar background to his own. I think the best thrillers are those where the hero might have supporters but very little back-up. Where the hero really is fighting an individual battle against the powers of darkness. It’s one reason why I think John Buchan gets it right time and time again. His hero Richard Hannay has many friends as the novels go on, supporters he can count on, but at the end of the day he’s on his own. I believe that that makes for menace and thrills. And I find the moral compass of 2016 a bit too hard to get over in writing. I’m not against anti-heroes – most of my lead characters are; but they all have a basic sense of morality. I don’t see it too often in some of the characters in modern thrillers. Similarly, the consequences of violence are a tad too easily skated over. The greater questions are never asked. The moral good of the human race is too rarely served. Now that might sound heavy, but I believe that the classic thrillers that have survived for decades, even a century or more in the case of Buchan, have lasted and are still much read and appreciated, because there is a feeling of right and wrong within them. The heroes in the classic novels knew who they were fighting against. In reality, seen through the retrospective of history, we all know that some of these historical positions weren’t quite so clear-cut. Buchan writes sympathetically of some of the enemies that Hannay encounters. In Greenmantle, published in 1916, he even gives a sympathetic portrait of the Kaiser, which is quite astonishing when you think about it. He very often in his stories shows us a “good enemy”. Jack Higgins at his best, shows us how good people can become entrapped into fighting for rotten causes. The heroes of his classic The Eagle Has Landed, are effectively German paratroops fighting for Hitler. Yet we can understand just how they find themselves in that position. Higgins’ terrific skill as a thriller-writer – and he is a quite wonderful drawer of rounded characters – lets us see the truth about individuals, but never lets us forget the tragedy of situations. One of the other reasons I set my thrillers in historical times is that it gives me a chance to see some kind of historical perspective. I know, looking back, how the situations my characters were involved with were eventually resolved. I can understand society in Victorian times, or how the Third Reich was wiped from the face of the earth. And there is the challenge of writing characters in my books who still don’t know how it all ends. Don’t know any more than we who are living today can imagine how the current crises may be resolved. And giving my characters that ignorance of their own past times makes writing them in those time really very interesting. I’ve been thinking a lot about Robin Hood lately, and in particular the plot of number three in my novel series The Chronicles of Robin Hood. I shouldn’t be really because I’m still at work on the climax of the second William Quest novel, though Quest is, in his way, a Robin Hood living in Victorian times.